With the holidays upon us, we can become distracted and forget important measures to take to ensure our safety at home and at work. Here are some preparation tips to keep everything safe while you enjoy your holiday vacation. While it’s supposed to be the “Most Wonderful Time of the Year,” nearly 400,000 break-ins occur in the United States during November and December, according to the FBI. 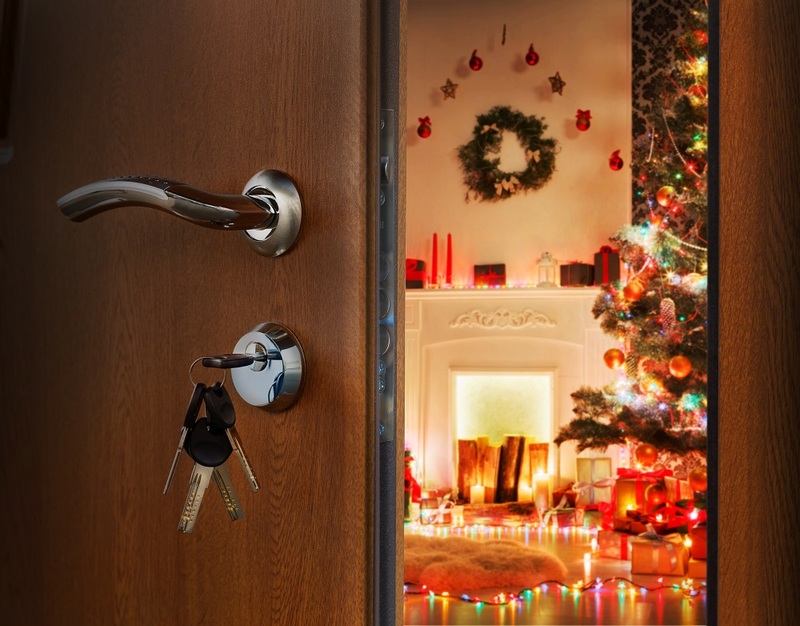 Before you close your doors to depart for the holidays, take these extra precautions to prepare your building for disaster prevention, such as frozen pipes or burglary. Test and make sure heating equipment is operating efficiently. Maintain building temperatures above 40°F, but don’t waste your energy bill by maintaining a 70°F environment that no one is there to enjoy. Unplug all appliances that won’t be used while you are out. Call your post office to put your mail on hold so it doesn’t pile up while you are gone (a blatant sign for intruders that you are away). Consider installing an inexpensive timed light system that turns on for some time each day while you are gone. This deters burglars from trying to break in. Ask a neighbor, who will be around while you are gone, to keep an eye on your place. If you have more than one vehicle, keep the one you won’t be using in the driveway to make it appear someone is still home. Check out our previous blog for some home and office winterization tips. Due to the rain and thunderstorms forecasted to hit the nation this week, travel conditions could become dangerous for the holidays. Follow these basic vehicle preparation tips to ensure safe travel. Also, watch this video, provided by the Weather Channel, for additional car survival kit ideas that not everyone may initially think about. Following the above tips should help prevent disaster during your “Most Wonderful Time of the Year.” DKI wishes you all the best and happiest holiday season!